Did you see Instagram’s latest feature? Rolling out as of today, “Nametag” is a way for users to quickly scan someone’s Instagram account IRL so they can check it out and presumably follow them. You can read more about this feature from Instagram, or simply tap into the menu on the top left of your profile to see Nametag and get started customizing. Got an idea for an Instagram quick tip or something you’d like covered? 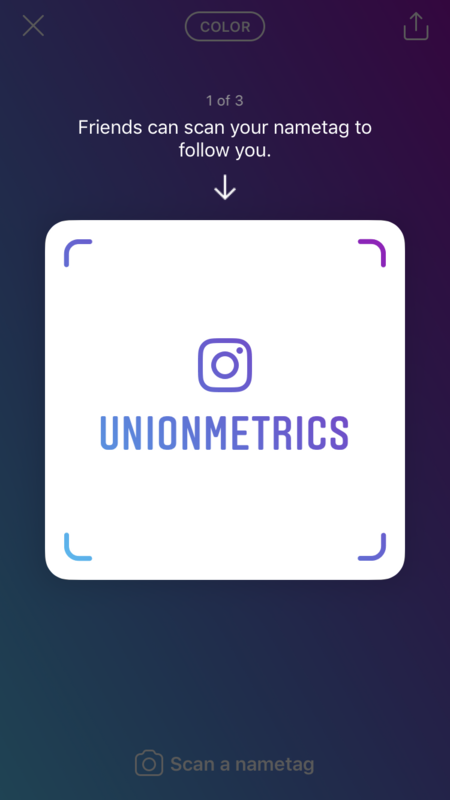 Tell us about it on Twitter @UnionMetrics.